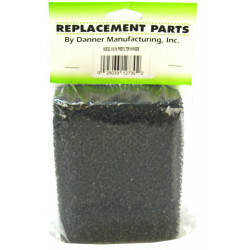 Welcome to the Pond Replacement Parts superstore! No one likes it when a piece of equipment goes out, especially when it handles one of the most visible aspects of your home or yard: the pond. But when the unfortunate does happen, you can rest easy knowing that the right parts to fix it are just a click away! 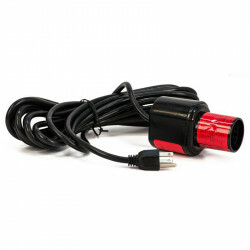 Pond parts are by and large far less complicated than they seem, and you'll be amazed at how easy it is to find the perfect replacement part to get your pond, pond pump, filter, or waterfall back up and running as soon as possible. Pet Mountain's Pond Replacement Parts store features top quality products from the most trusted names in pond care, equipment and maintenance, including Pondmaster, Tetra Pond, Fish Mate, Beckett, Lifegard, and more. 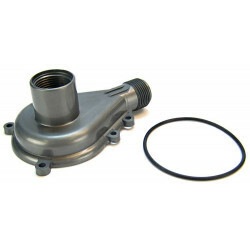 In our Pond Pump Impeller Covers store, you'll find quality covers, O-rings and installation kits for your pump's impeller housing. Should the impeller itself break, look no further than our comprehensive Replacement Pond Impeller store, with impellers for virtually every pond pump under the sun. Keeping your pond filtered is essential, and it can't get easier than simply browsing our Pond Filter Pads store to find the right pad for your filter. Pond Pump Pre-Filters are extremely useful in keeping large debris from entering your pump circulation system, preserving the life of your pump and filter while keeping your pond cleaner in the process. UV sterilizers are extremely useful to maintain your pond's crystal clarity and beauty. 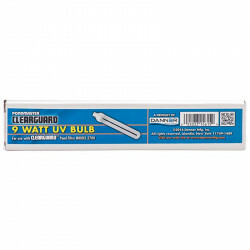 We've got you covered for UV Sterilizer Ballasts, Adapters, and Bulb Protectors, UV Sterilizer Bulbs, and Pond UV Sterilizer Quartz Sleeves.